Crafted by our team of skilled designers, our range of Antique Finish Lattices is designed in variety of colors and patterns. Fabricated using high quality material, these are widely in demand in the domestic as well as overseas market due to their excellent quality, high durability and fine finish. 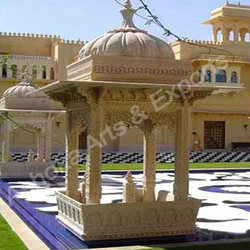 Owing to the adeptness of our creative artisans, we are able to manufacture a quality range of stones for carved garden gazebo. These carved stones are used for making porches and gazebos that are used in gardens, temples and monumental areas. Superior in detailing and finish, these stones are weather proof and stain resistant. 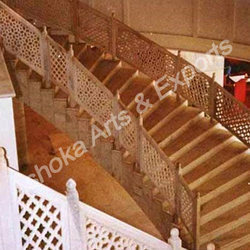 We offer a comprehensive range of Lattice Stairs made of high quality material. These stairs are designed in different styles, patterns and architectural trends. We also offer these stairs with railing in customized specifications. Our clients can avail these at competitive prices. 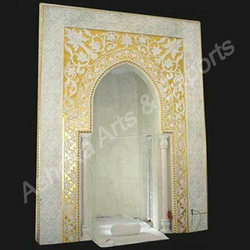 We are engaged in offering our clients a rich variety of Marble Gold Work Arch that is exclusively designed and meticulously hand crafted. These arches are available in a blend of designs, texture, and form. We also meet customized requirement for our clients benefit and offer our range at competitive prices. Dexterously crafted, our range of Contemporary Stone Wall are reckoned by our global clients for the elaborate hand work and perfect carving exhibited by our creative spurs. These stone walls come in various specifications as per the client's request. Our clients can avail these at competitive prices. While preserving the age old heritage of Indian culture and tradition, we are offering our clients with a mesmerizing collection of Indian Heritage Carving. 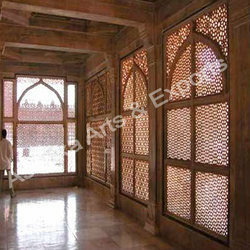 This work is done in the form of a mesh and is pierced in different shapes and sizes. Our work is widely demanded by our clients for their aesthetic appeal and weather proof properties. 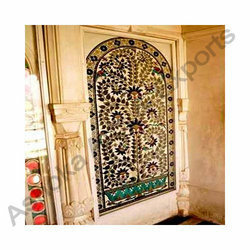 We offer excellent quality Glass Work on Wall which is crafted by our team of creative professionals. The ecstatic workmanship reflects the creativity of our craftsmen and their quest for achieving artistic perfection. Understanding the differences in client demands, we undertake tailor made solutions as per client needs. 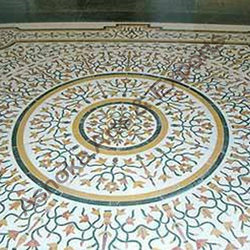 Our range of marble inlay flooring is a precious piece of artistry; these marble inlay flooring are great to bring the beauty of nature on the wall of ones room. 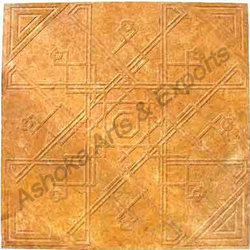 Sleek yet durable, these designer panels are available in customized specifications as well. The broad range of marble stones and sandstones decorative is definitely a resplendent depiction of the imperial touch from India. 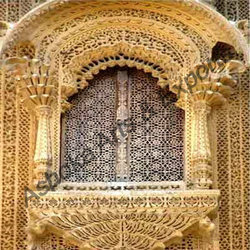 We have successfully gained a strong foothold over the market by supplying high quality range of Marble Grills, Marble Inlay Panel, Marble Panel, Sandstone Panel, Marble Inlay Grills and Sandstone Grills. These are processed with the help of cutting edge technology, to offer a range that stands high on quality. USA, Germany, France, Europe and Gulf countries.